Norah Gaughan's command of texture now extends to menswear in a collection of wearable masterpieces with striking graphic elements. Back: With smaller straight needles, using MC cast on 122(134-150-162-174-190) sts. Row 2: P2, *k2, p2, rep from * across. Rep these 2 rows until piece measures 3” from beg, end on WS. 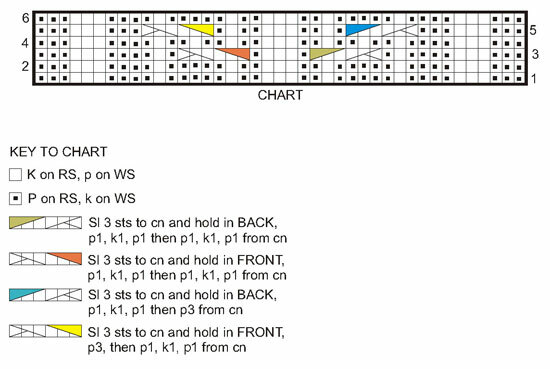 Change to larger needles and k the next row, dec 14(18-18-22-22-26) sts across – 96(104-116-124-136-144) sts.